Do you want to move your free WordPress site to self-hosted? 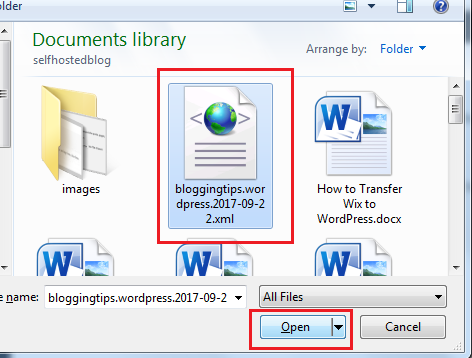 While there are a couple of methods to transfer from a WordPress.com blog to WordPress.org, I’ve put together the simplest steps to get the job done. 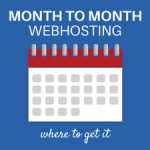 Moving to a WordPress blog with webhosting is a good plan, especially if you want more features and flexibility for your blog. 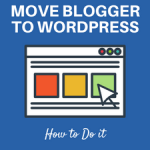 There are a few steps you’ll need to do before you actually move your free WordPress blog posts over to self-hosted WordPress. Those steps are included here. Set aside at least one hour but you may need two depending on how long each process takes. 3. Export your WordPress.com blog posts. 4. 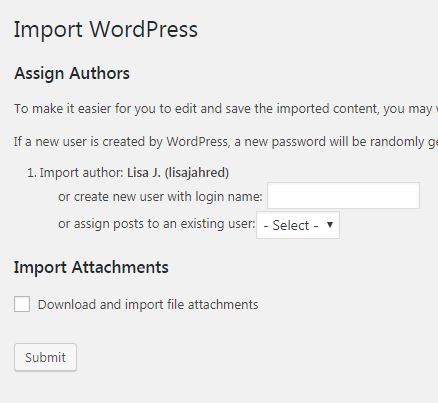 Import WordPress.com blog posts to WordPress self-hosted. 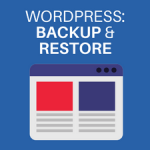 Step 1: Setup WordPress webhosting. Speed – does the webhost provide top speed solutions so your blog is superfast? Customer support – is the customer service fast and reliable? Server uptime – does the web host have a history of 99.9999% uptime so your blog will always be available. Those are the three things I usually consider when choosing a webhost. 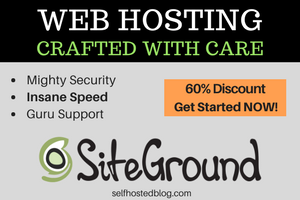 With that in mind, I highly recommend SiteGround, as they provide the best in the business. In this step, setup your webhosting account. Follow this easy tutorial I wrote about: SiteGround: How to Start Your Website for Beginners. 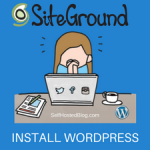 Lucky for you if you selected SiteGround, you can install WordPress with a single click! It’s all automated and the easiest thing ever. Follow this tutorial I wrote on How to Install WordPress on SiteGround. For this step, you’ll log into your WordPress.com account. Click Tools and then click Export. On the Export page, under Free, click Start Export. Choose All Content and then click Download Export File. The WordPress XML file will be downloaded to your computer harddrive. 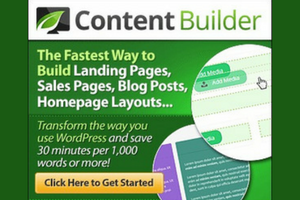 It contains all your blog posts, pages and other information. Take note of where the file is located. You’ll need it to upload to your new webhosted site. This is a 2-step process. First you’ll install the WordPress Importer plugin. Next, you’ll import the XML file that contains your blog content. Log into your new WordPress self-hosted site. From the Dashboard, click Tools > Import. On the Import page, under WordPress, click Install now. After it’s installed, the Import WordPress page will appear. Click Choose File. Navigate to the location on your harddrive where the exported XML was downloaded. The file name will appear to the right of Choose File. You’ll have the option to import the original author name, create a new user or assign the content to an existing user name on your new blog. Select Download and import file attachments (these are your image files). 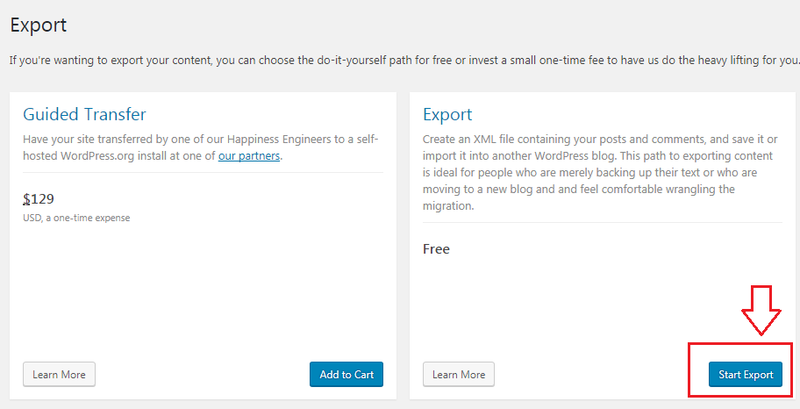 The content from your WordPress.com blog will now be imported into your new self-hosted WordPress blog. All the original published dates will be intact and all images will be included. Now that you imported your content to your new blog, you need to connect your domain name. Follow this easy tutorial I wrote about: How to Connect your Domain Name to WordPress. I hope that this tutorial helped you with a smooth transition between WordPress.com and WordPress.org. 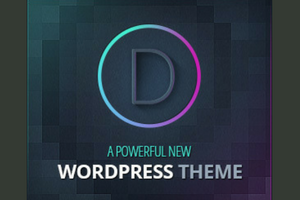 Once you get setup, you can find a free WordPress themes to get started with a cool design. 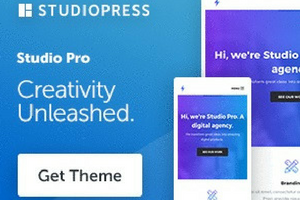 If you want to have a more customizable and easy to use WordPress theme, I highly recommend StudioPress Genesis themes. They are easy to use and have a lot of customer support to help! Be sure to leave a comment with a link to your new blog! I can’t wait to see what you created.